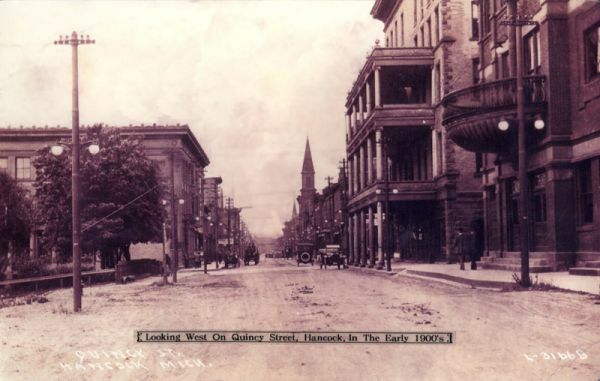 Quincy St., Hancock, in the early 1900's. This view is looking West from the Dunstan St. intersection. Note the Kerredge Theatre (R), and the Scott Hotel, then with a three story balcony, later removed. At that period, a Park existed on the left side. (Photo Courtesy of: Ralph Raffaelli, Houghton, MI).